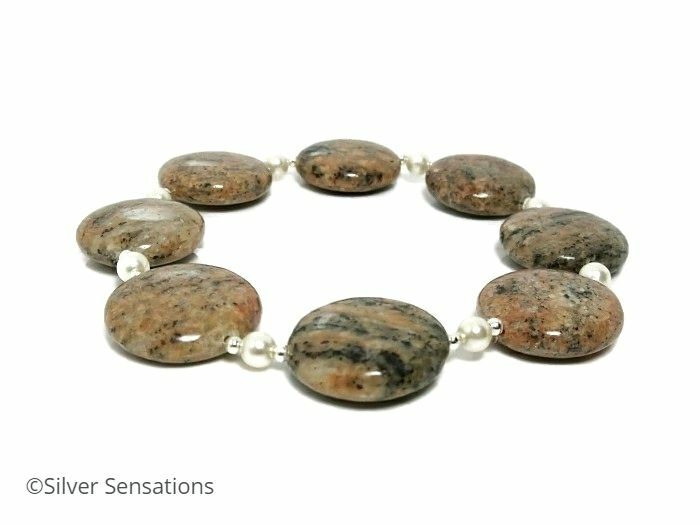 This uniquely designed & elegant brown & cream handmade ladies bracelet has speckled brown Black Sesame Jasper coin beads, Swarovski Pearls & Sterling Silver. 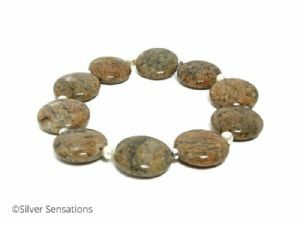 The Sesame Jasper semi precious gemstones are 18mm in size & they alternate with light cream 4mm Swarovski Pearls which add a touch of femininity to the bracelet. There is a small seamless Sterling Silver round bead between each of the coin beads & pearls. 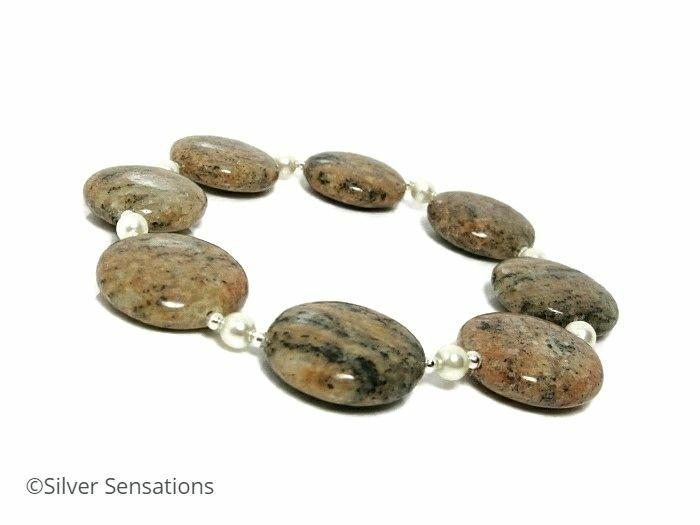 This limited edition bracelet has a wearing fit of approximately 7.25" - 7.5" before stretching. 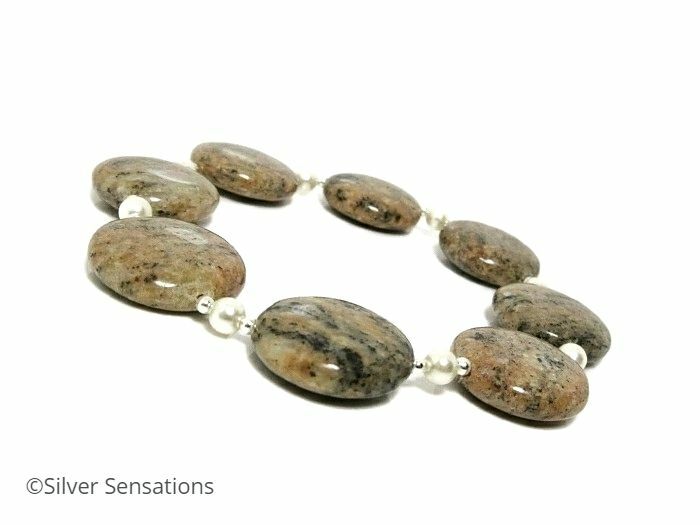 These Black Sesame Jasper beads are actually brown with tiny specks of black which resembles cracked black pepper. There is also a touch of pink in them so they really are unusual. 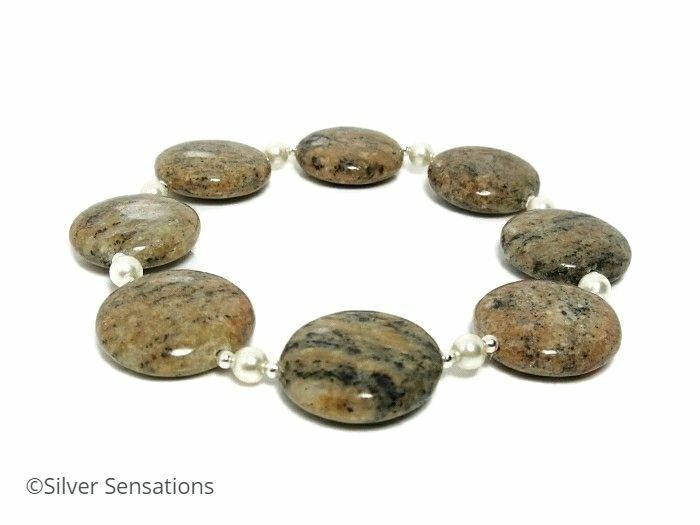 As this bracelet has been created using earthy tones, it will go with quite a few outfits. 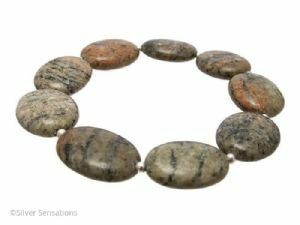 As each bead is different due to its individual markings, each piece of jewellery will look slightly different. As is the case with all stretch bracelets, I recommend that you roll or slide your bracelet on & off your wrist. 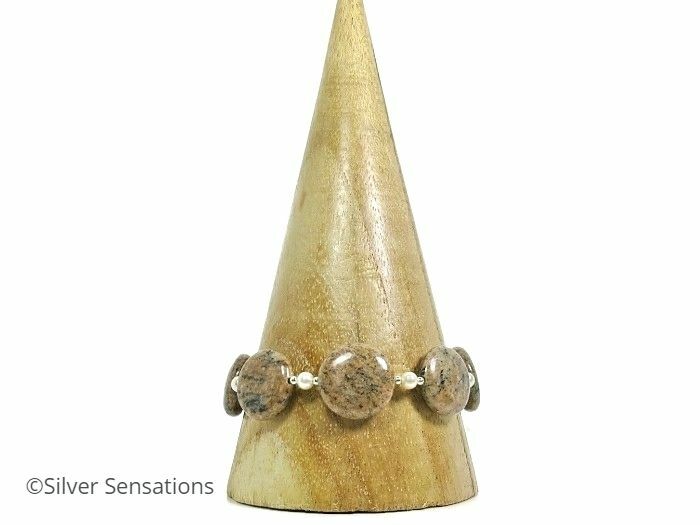 I buy all of my guaranteed genuine .925 Sterling Silver from reputable UK Silversmiths so I can be sure that I'm using only the highest quality materials for your piece of handmade jewellery.